Matzah encrusted flounder. Part of this balanced meal. Home stretch guys! Passover is almost over, which means lots of bread, pasta, and soy products! 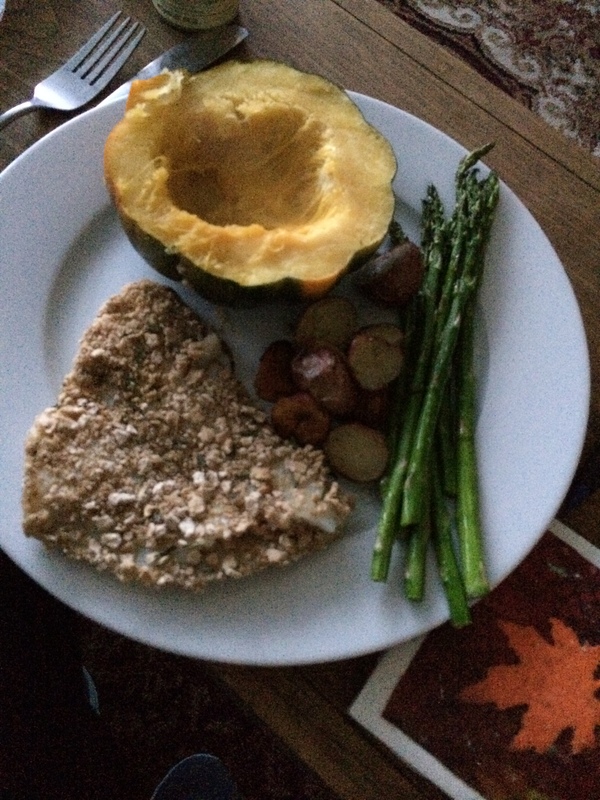 Don’t get me wrong-I’ve had a wonderful time at my family seders and cooking all sorts of chametz (bread) free delicacies with my boyfriend, such as tortilla Española, pan-seared salmon, roasted rosemary potatoes, matzah-encrusted flounder, and grilled vegetables. But the primary Passover staple, matzah, has never been my favorite. This year, however, I find myself looking at the bland cracker in a new light. According to the Passover story, the Israelites carried raw dough on their backs when they hastily fled slavery in Egypt. As a result, the dough baked on their backs from the sun’s heat. This is why Jews around the globe eat matzah during Passover, to remember the exodus. The tradition began thousands of years ago. During the time of the Great Temple in Jerusalem, the Jewish community gathered to tell the Passover story and eat matzah together. As Jews dispersed into separate communities worldwide, they carried on the tradition of baking and eating matzah for Passover. 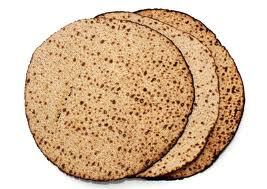 Matzah-baking was a tedious process requiring special wheat supervised by rabbis to ensure their integrity. Rabbis also oversaw the dough prepping, rolling, and baking process, all of which had to be completed in 18 minutes or less to avoid leavening. For thousands of years, matzah remained mostly unchanged. In 1838, a Frenchman named Isaac Singer invented a matzo-dough-rolling machine that sped up the process and enabled mass production. Singer’s machine started an extensive debate within the Jewish community. Was matzah produced by machinery instead of human hands still kosher for Passover? Rolling dough had become an employment for poor Jews within the community. This machinery made their work obsolete. But a more efficient method for producing matzah would make the product cheaper for everyone, including poor consumers. In the end, the Jewish community welcomed this new technology, provided that rabbinical supervision continue through production. In 1888, a Lithuanian immigrant named Dov Behr opened the first matzo-making factory in Cincinnati, Ohio. Behr changed his name to Manischewitz (probably sounds familiar) and developed an entirely automated method of matzo production. In advertisements, Manischewitz boasted that “no human hand touches these matzos!” By the 1920s, Manischewitz was the world’s largest matzah producer, making 1.2 million sheets a day. Of course, the appearance of matzah significantly changed with this new technology-uniform rectangular sheets became the norm. Streit’s opened its factory in New York in 1925, and continues production at its same location today. Even Israeli matzot are available at everyday American grocery stores today. And so, matzah has been around for a very very very long time. If those Passover seders have taught me anything, it is to respect my elders. I suppose matzah qualifies. In that spirit, I enjoy my matzah in three forms: as a matzah s’more, a matzah pizza, or matzah lasagna. Nathan, Joan. Jewish Cooking in American. New York: Knopf, 1998. I prefer my matzah with extra sauce. 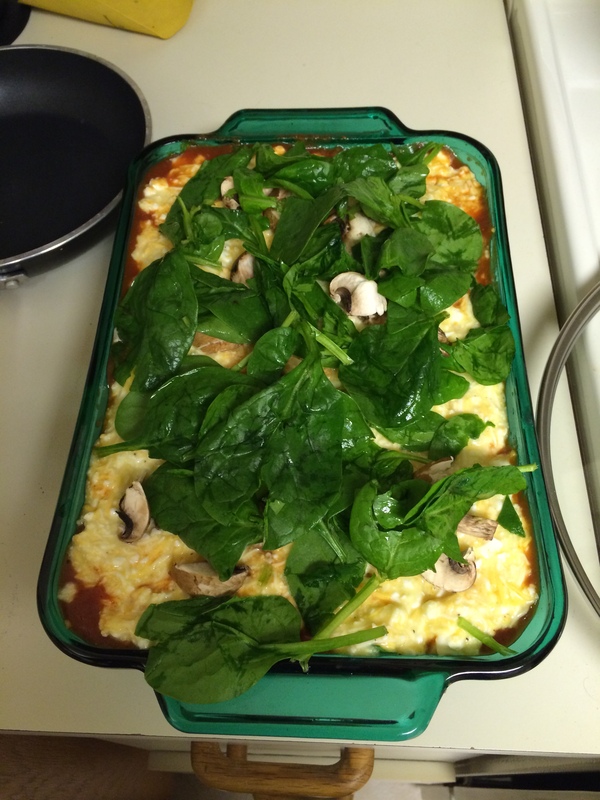 2) In a large mixing bowl, combine cheeses, eggs, garlic, and pepper. 3) One at a time, soak matzah sheets in a dish of hot water for 30 seconds. 4) Let the layering begin! Coat bottom of a 9×13 glass baking dish with tomato sauce. Add two sheets of matzah. Add another layer of sauce. Add a layer of cheese mixture. Finally, if you’d like, add a layer of veggies. 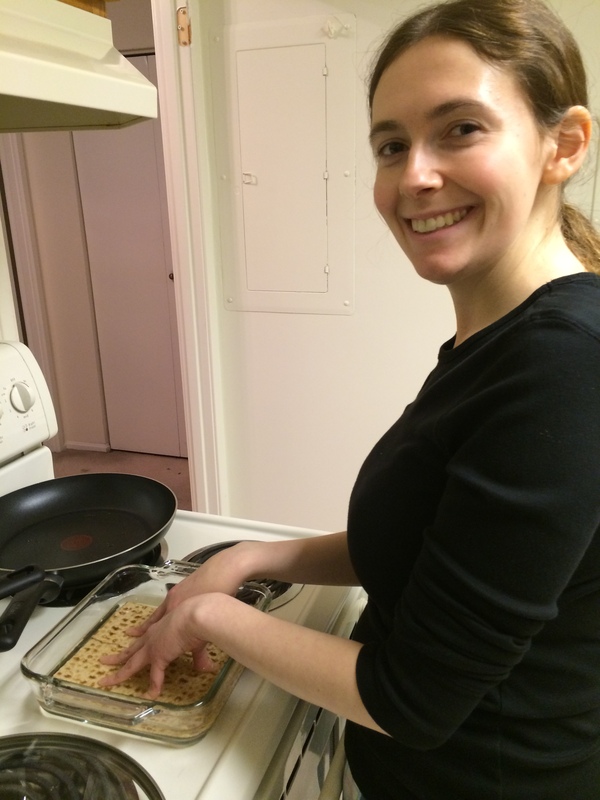 Then continue process again until you run out of ingredients or space, starting with another layer of matzah. Veggies and whole wheat matzah totally make this healthy. Which means more matzah s’mores later! 5) Bake at 350 degrees for 30-40 minutes, until cheese is melted. 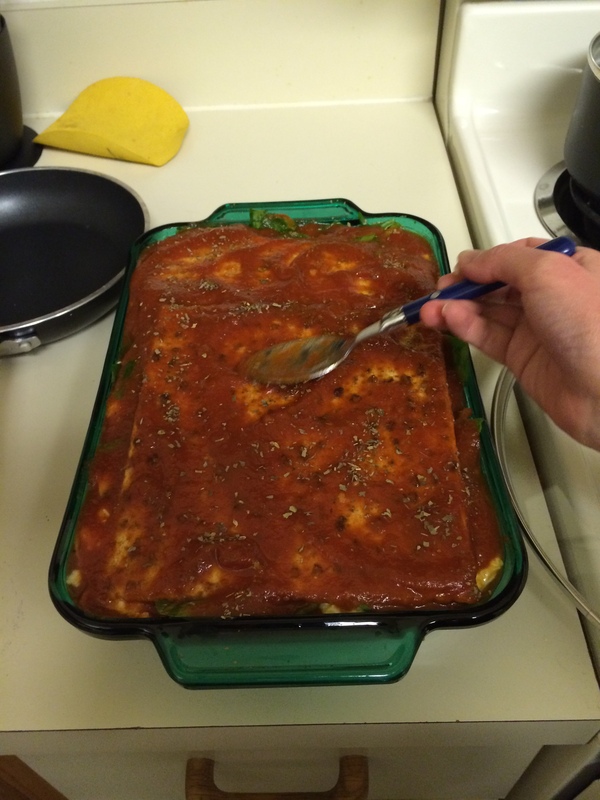 Our first few slices were a bit watery because we ate straight from the oven…still delicious (at least for Passover)! 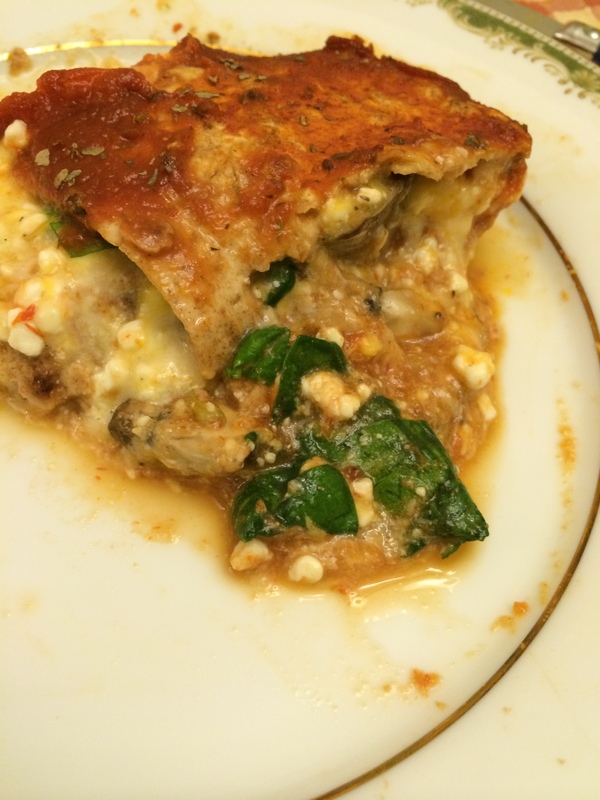 ***This lasagna is best made the day before and left to cool in the fridge overnight and reheated later. It will be very runny immediately after coming out of the oven, which improves with chill time.